A social entrepreneur, educator and Global Shaper of the World Economic Forum. 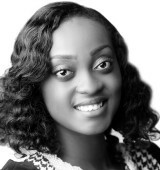 Grace is the Founder and Executive Director of iKapture Networks, a lecturer at the University of Calabar and an US International Exchange Alumna. She has participated in exchange programmes worldwide and uses her knowledge and experiences to teach and mentor young people. 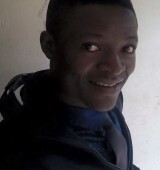 Emem is an educator and youth leader. She currently serves as the Programs and Administrative Manager at iKapture Networks. Emem is passionate about young people and have respect for their potentials and dreams with a strong drive to equip them with knowledge and skills that will help them in living impactful lives. 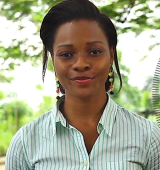 Jude is an emerging social entrepreneur, leader and educator. He is passionate about youth education and development. At iKapture Networks, he co-ordinates the academic programs, develops training curriculum amongst other activities. Jude is also a Milky Way Youth Movement Global Ambassador. 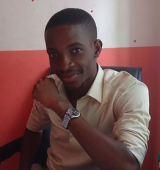 Ifiok is a charismatic young leader with great passion for volunteering. His selfless service can be accounted for in various youth organizations such as RISE Networks, Eden Nigeria and iKapture Networks. In 2012, Ifiok participated in the LEAP Africa’s Leadership and Ethics training.